This is not how you keep your cat happy. Minion here – my first post. While my owners were busy prepping their blog post and surfing the internet and generally being bad parents, they neglected to pay proper attention to their wonderful cat. And while being neglected, I somehow managed to fall in Banderas Bay. It is all a bit of a blur – all I know is I’m very wet, and somehow managed to get back on the boat using the dinghy floating next to it. At least the water is warm here, someone should come visit, go swimming, and pay better attention to me. 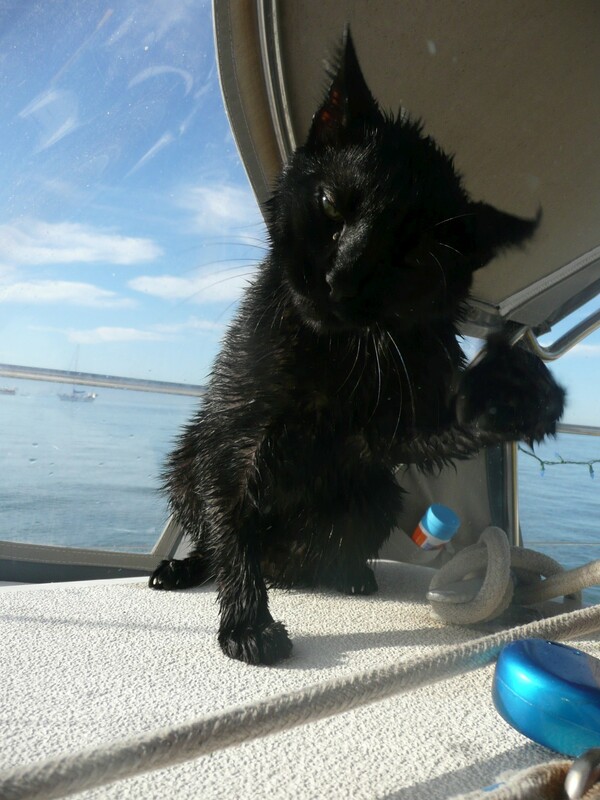 This entry was posted in Minion and tagged banderas bay, Minion, swimming, wet cat by Erlin. Bookmark the permalink. Oh, little poor little buddy! Wet cats are so sad. At least you are in warm waters, Minion!